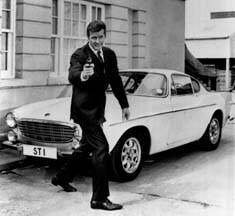 held Simon Templar in The Saint, tegenover Tony Curtis in The Persuaders en in de jaren vijftig als Ivanhoe. Ook als onkreukbare ridder was Moore al 'every inch a gentleman'. Leslie legally changed his name by deed-poll to Leslie Charteris in 1926. He died in Windsor, England on April 15, 1993 at age 85. His father, Dr. S. C. Yin was a wealthy Chinese surgeon, a direct descendant of the emperors of China during the Shang dynasty; his mother was English. a book every Saint fan should have--I will quote Charteris' own words to give a little more personal insight into his life. These quotes come from his own writings about his life, and the sources are indicated. therefore in this case it is advisable to publish directly from the source: Leslie Charteris himself. This section might stray from a direct history of the life and times of Leslie Charteris, but where would some of the more interesting quotes go? The Volvo Car Corporation supplied the "The Saint" television producers a total of five P1800 models for use on their show. Volvo happily supplied the first one in 1962, registered as 71 DXC, within a week of its being requested. to the set of "The Saint&qout;. The first car was then chopped up for better interior shot access. Three years later, in 1967, Volvo supplied yet another car. This car, however, didn't get much use as it was wrecked in a crash fairly soon after its arrival. chrome, and more modern trim rings for the wheels. and the other, NUV 648E, was used for filming. 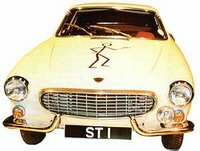 If you would like to see one of the cars, the "Cars of the Stars" museum in Keswick, England has the official 'Saint' car on display. Their car is the fully restored 1964, registration 77 GYL, with a giant Saint logo on the hood.